Today your child will be coming home with a Reading Counts book ( similar to WEB reading last year if you were at Georgetown). Each child has selected a good fit book within their independent reading level to take home and read and they are SO EXCITED!!! Reading Counts is a reading incentive program (separate from our curriculum) that promotes reading habits and also rewards children for their efforts. Please see the following link for more informationREADING COUNTS. Here is how we use Reading Counts at Georgetown. 1. 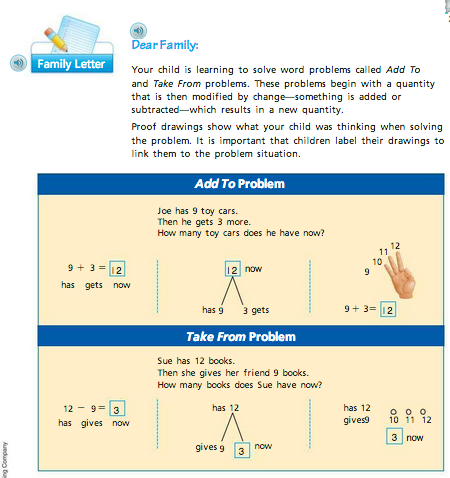 Each child’s independent reading level is determined through teacher assessments. Levels will be similar to last year (within a level or two). We want to build in success and encourage our readers. Children will change levels as we grow throughout the year. 2. Each child is given a goal number of points to achieve during the semester based on their reading level. Each book has an assigned point value which can be found on the inside cover of the book. 3. Students select a book at their reading level and read it at home and/or at school. Books are labeled with reading levels A – Z on the spine of the book. 4. When children are finished with the book they sign up to take a RC comprehension quiz on the computer/ipad for that particular book here at school. 5. If the quiz is passed ( 8/10 questions answered correctly), then another book is checked out. If the quiz is not passed, students take the book home again and reread or select a new book from the library. 6. At the end of the semester (mid Jan), students who have met their goal receive a prize and a ticket into our end of the year BIG prize drawing. Last year it was an Ipad Mini and Target gift cards….YEAH! Please see your child’s book bag today for more specific information. Please let me know if you have any questions or concerns. Our second grade mathematicians have been working hard to build their math strategies. We are learning about math facts through the use of math mountains. 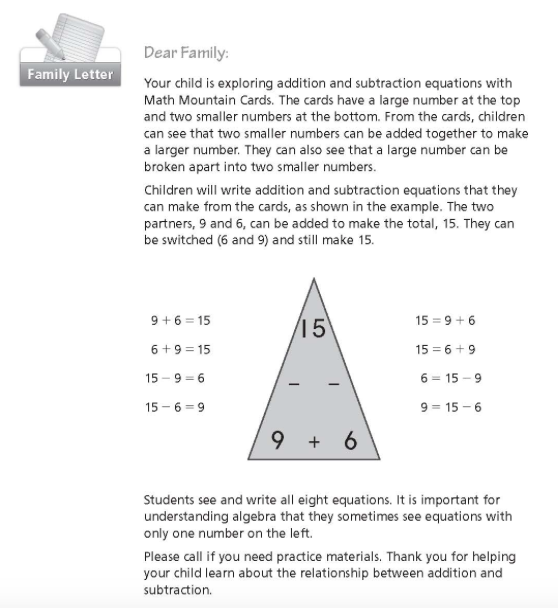 Below please find a parent letter for more details. 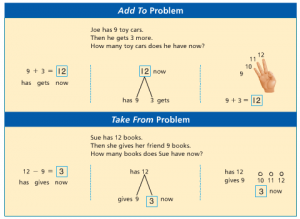 As children are introduced to strategies and new topics/instruction, they have an opportunity to practice using games, hands on activities, math journal work, partner practice and fact fluency through each of their work sites. Our learners visit all of the work sites each day and have done a FABULOUS job getting to work quickly and quietly. Mrs. Reagan posted the below information on the school blog regarding our growth mindset approach to learning. We are so excited to begin this journey! 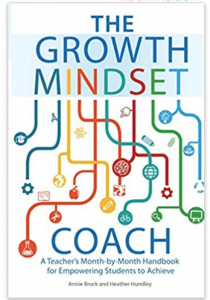 Staff book study for the 2018-19 school year is GROWTH MINDSET COACH. 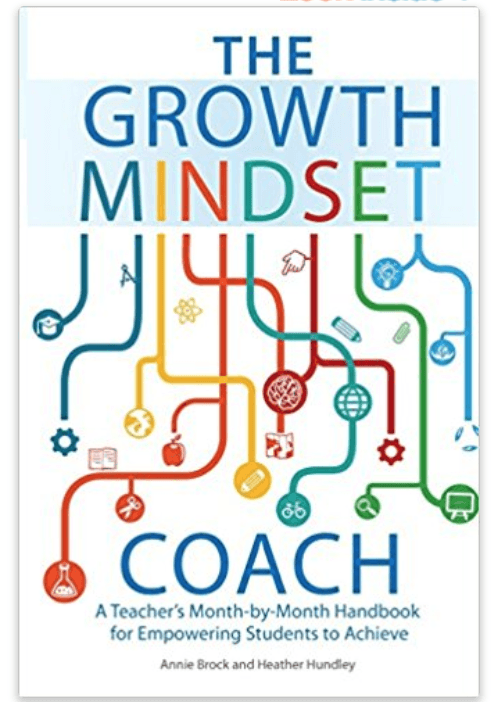 It is a month by month guide that helps us shift our teacher and student thinking to a GROWTH mindset approach to learning. Teachers know that the actions they take (body language, word choice) show our students what we expect of their learning. Sometimes the words we use give children the impression that their ability to learn is fixed or pre-determined. This happens when we make statements like: “You’re so smart! or “You’re a math genius” or “Spelling comes easily to you.” These statements imply that some kids are born smart, genius like and/or that learning comes easily. This reinforces a FIXED MINDSET. Many of us were raised in these messages, so we must intentionally shift toward a GROWTH MINDSET approach to teaching and learning. By doing this, our word choice reflects the philosophy that our brains are always growing and as a result, with lots of practice and support, every child and adult is a learner. To help you understand this approach, I encourage you to visit MINDSET WORKS parent tips page. It is FILLED with helpful information about this approach. Each month, we’ll introduce a new GROWTH MINDSET PHRASE to our students and expand their beliefs about their own ability to learn through practice, mistakes, failures and more practice. This months phrase is above — Everyone Can Learn. 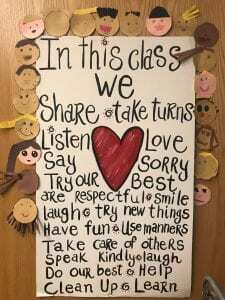 This week, we will continue to focus on welcoming all the children by building routines and relationships. We know that Tuesday could be a little tricky for some of our kindergarteners (and maybe a few Gr 1-5 kids) after four days at home. We’re resting up to provide extra TLC to help them out! Student Information Forms – Please send the student information forms (received at Open House) back to school on Tuesday. Double check to make sure that your contact information is correct for our files. Me Bags – At Open House, your child also received a Me Bag. We will enjoy sharing these bags during the first week as we get to know one another. Please make sure that your child’s name is on his/her bag before sending it to school on Tuesday. Water Bottle and Snacks – Your child should bring two healthy nut free snacks and a filled water bottle (no juice please) to stay fueled every day. Morning and afternoon snacks are essential for maintaining energy and attention. Please do not send candy or sugary snacks. High sugar foods cause an energy crash that makes learning difficult. If your child ever forgets a snack, we have a great supply of graham crackers (thanks for your donations!). For more information on snack ideas, you can check the Nut Free Snack List found on the left side of our blog. **Finally, with the start of a new school year many students experience some anxiety. Here is link to an excellent blog post to help children through these stressful moments. Above all, we will have an exciting year and we are going to have fun learning together. Feel free to bring your child’s supplies and unpack them into their desk. Clean PE shoes will be stored on the top shelf of their locker. They can be brought tomorrow too :). I hope you are having a wonderful summer! To help me learn more about your child, please fill out this quick survey: ALL ABOUT YOUR SECOND GRADER. The results will be kept confidential and will help me prepare for the upcoming school year. I am so excited to see you all on Wednesday from 6:30 – 7:30 for Open House! Georgetown Elementary is working on a school directory. Please read below for more information. The purpose of this directory is to help parents connect with other parents for child get togethers (playdates, birthday parties). We do not share parent emails at the office or teacher level. If you would like to connect with other parents to arrange child get togethers, you must complete this SCHOOL DIRECTORY FORM. Once it is completed, the form will be emailed to all parents who completed the form. This form will not be published on the school website nor will it be printed and distributed. Happy Summer! Our classroom is full of materials that will help us grow as learners, but there are a few supplies that we ask children to provide if possible. You may bring these to supplies to the Open House on Wednesday August 22. A pair of earbuds/headphones labeled with your child’s name( a piece of tape on the cord works well). 1 game (to keep at school for the school year) your child can teach the rest of the class how to play during indoor recesses. It can be returned at the end of the year. Please write your child’s name on the box or bag. Here are some other supplies that we use quite a bit within our classroom and would appreciate any donations. These same items will be posted on our giving tree as we get closer to the fall as well. If you have any questions, please feel free to email me at lkuieck@hpseagles.net.